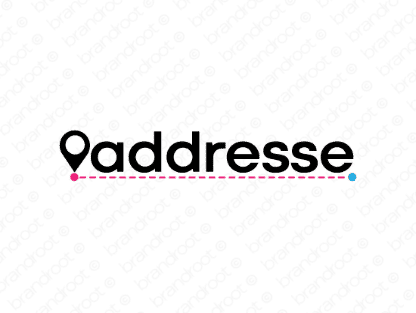 Brand addresse is for sale on Brandroot.com! A strong and memorable name inspired by the word "address". Addresse offers versatile potential perfect for accommodation booking and real-estate services or GPS, travel and navigation apps. You will have full ownership and rights to Addresse.com. One of our professional Brandroot representatives will contact you and walk you through the entire transfer process.